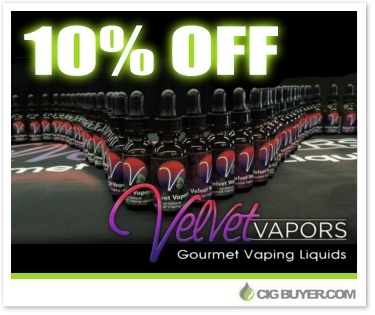 Velvet Vapors is a small, “gourmet” e-liquid company located in Tucson, AZ. They’ve been producing quality, hand-mixed USA e-juice since 2010 and offer over 200 different flavors. They have an entire section of all-natural, organic products with no artificial flavors or sweeteners; and they also feature over 90 different products that are 100% VG and PG-free. Choose from dozens of sweet, minty, tobacco, fruit, candy, desert and beverage flavors. * This special deal ends June 30th at midnight. Take advantage now!